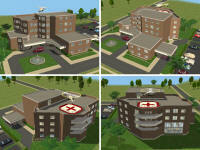 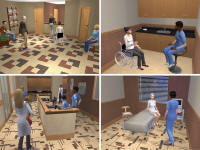 Mercy Hospital is fully furnished community lot. 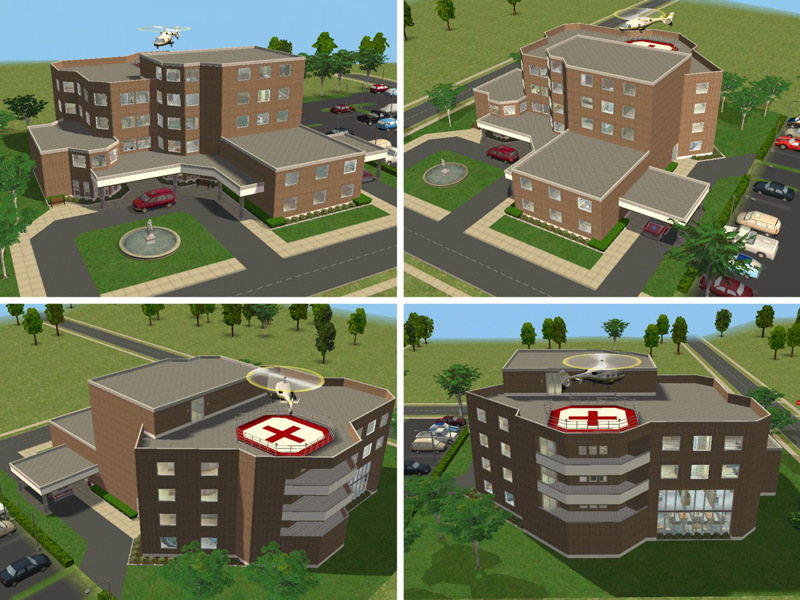 This five-story building offers comprehensive medical treatment, from critical care to outpatient services. 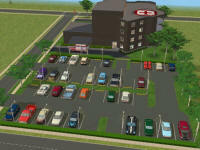 Also included is the Parking Lot that sits to the right of Mercy Hospital. 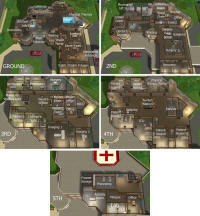 Many people requested that this lot from the photos be added. 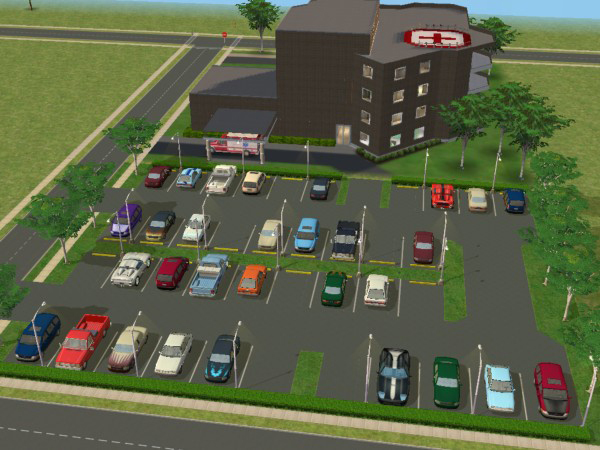 It was initially created for decoration purposes as a residential lot using in-game cars. 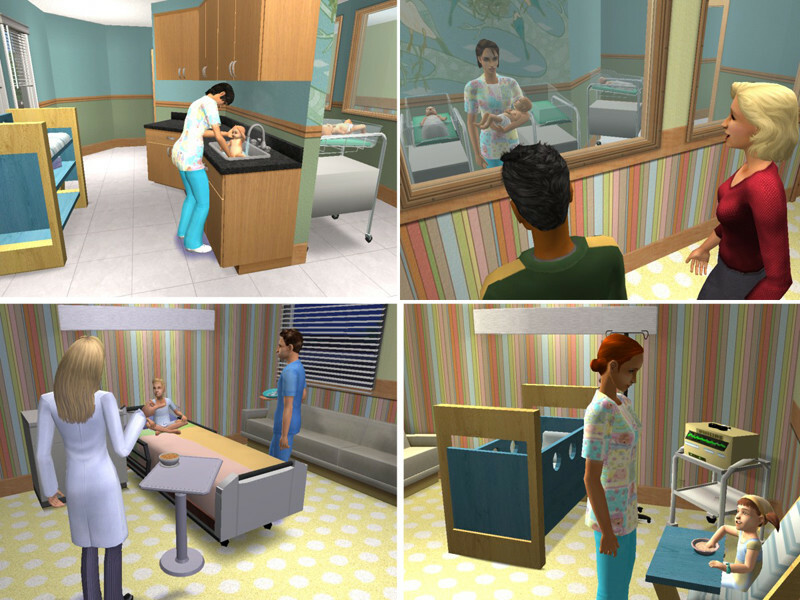 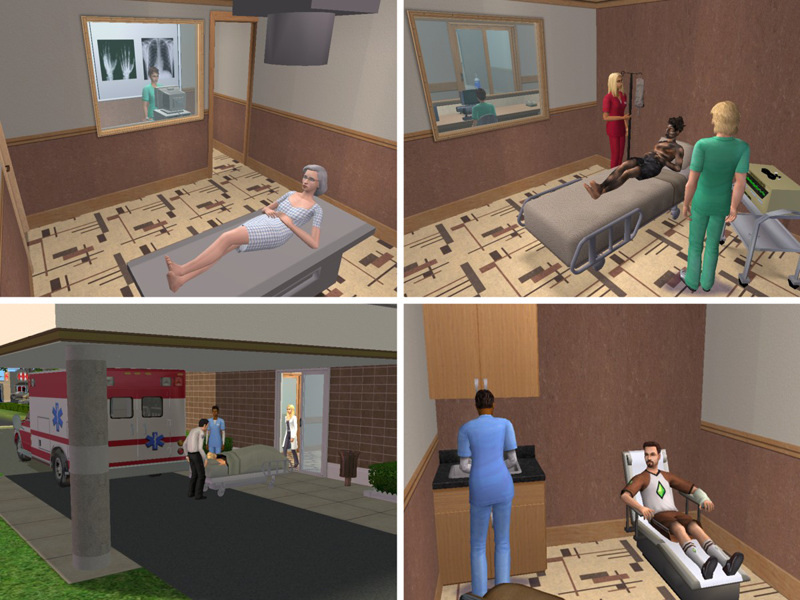 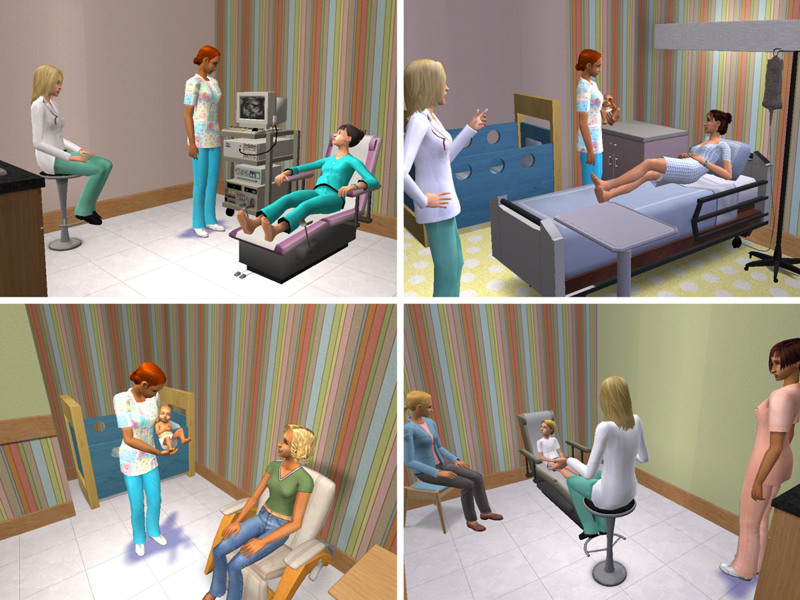 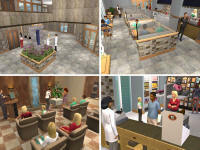 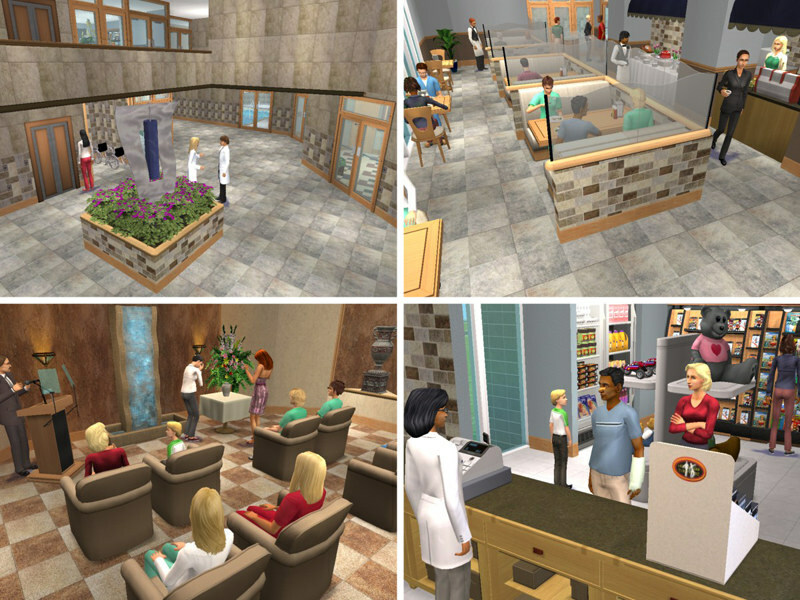 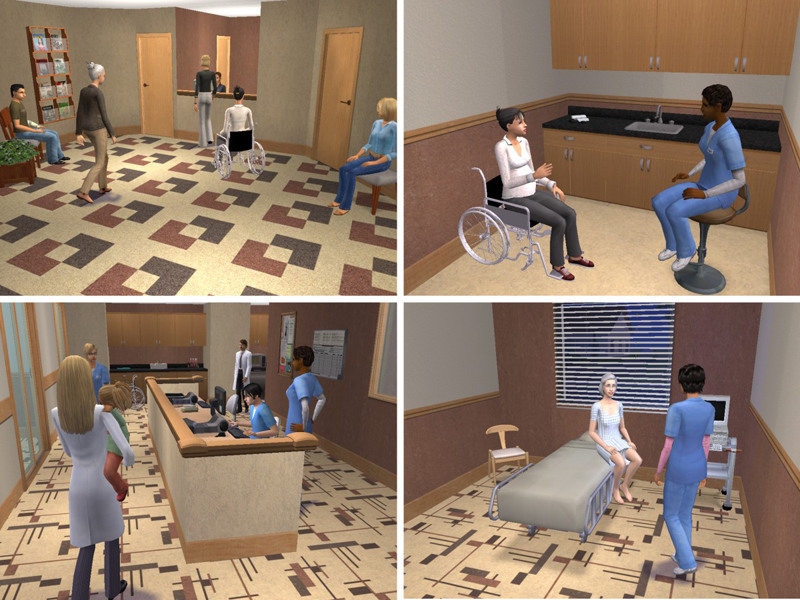 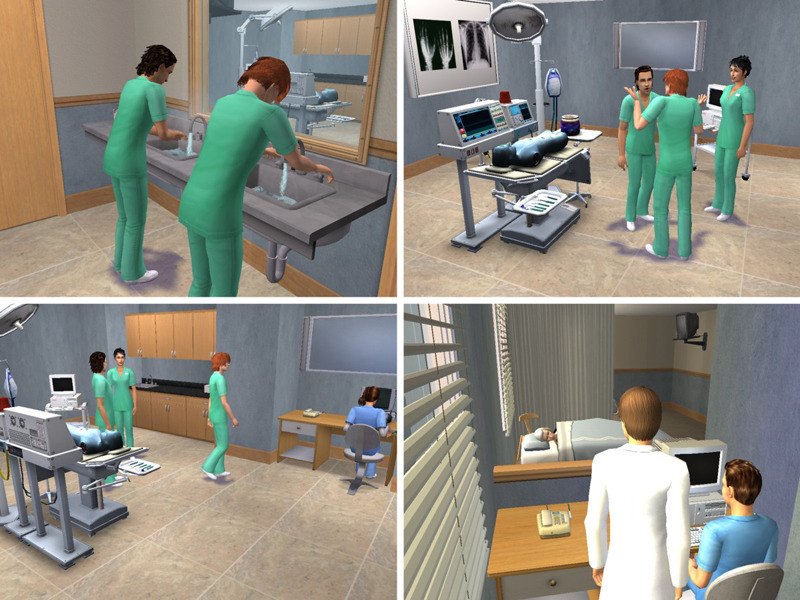 Notes on playing the Hospital - The hospital is in community lot format, therefore Pregnant Sims cannot visit or give birth there without using hacks/mods. 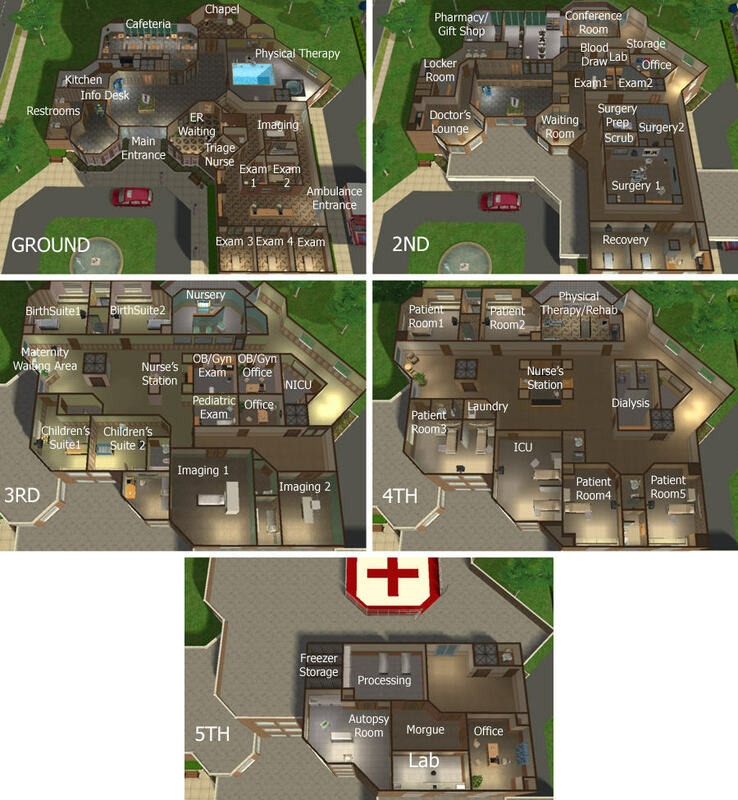 You have the option of converting the hospital to a residential lot, apartment or hotel with some changes to the structure (such as adding apartment doors or hotel counter, etc.). 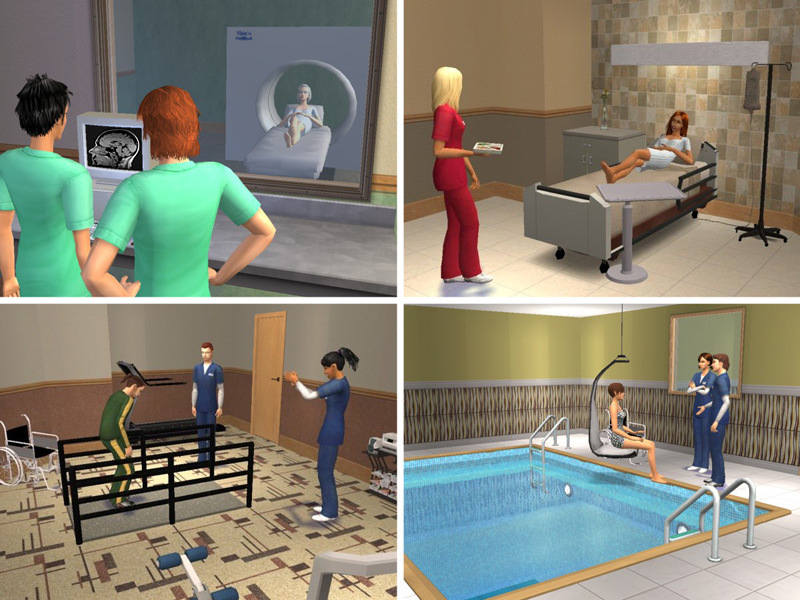 It is a versatile lot and has been play-tested in all of these lot types.